The Lincoln Stars will continue their 2013 preseason schedule this week when they travel to Sioux City, Iowa to participate in the 2013 USHL Fall Classic (West) tournament. The Stars will play a total of two games over the course of two days during the Fall Classic. Lincoln will face off against the Des Moines Buccaneers on Wednesday, September 11th, and the Omaha Lancers on Thursday, September 12th. The Stars will play these two exhibition contests, and one more on Thursday, September 19th at Tri-City, before they start the USHL 2013-14 regular season on Friday, September 27th at the IceBox in Lincoln against the Cedar Rapids Roughriders. The Stars are 2-0-0 in two preseason games so far this month. This past weekend in Fargo, Lincoln swept the Force in back-to-back games. On Friday, the Stars beat the Force by a score of 5-2. On Saturday, Lincoln got a 4-1 win. The USHL decided to mix things up a bit this year in regards to the Fall Classic, and the result hasn't been well received by the fans. Basically, the league split the Fall Classic into two events: the West Fall Classic in Sioux City from 9/11 to 9/12, and the East Fall Classic in Indianapolis from 9/13 to 9/15. 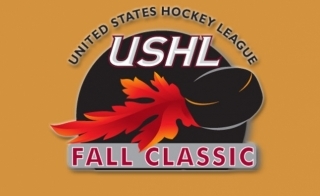 Sadly, only western conference teams will be participating in the Sioux City Fall Classic this week. One of the reasons that I (and many other hockey fans) really enjoy making the trek up to SC to watch this event is having the opportunity to see all of the eastern conference teams that we don't get to see much at all during the regular season. I'm hoping that the league goes back to the old format for the 2014 Fall Classic. The Fall Classic is one of the most heavily scouted hockey tournaments in North America. Click here to read more about that (article from last year). Every year I go to Sioux City for this event, I'm amazed at the amount of college and pro scouts that I see. At times they outnumber the total amount of fans in the seats. This tournament is a great opportunity for so many players to be seen, and possibly earn a college hockey scholarship. Daily passes are good for all four games for the date purchased. So if you are wanting to watch both days of the tournament, expect to pay a total of $30 ($15 x 2). Unlike in past years, when the Fall Classic was four days long and all 16 USHL teams participated in it, there will not be an all-event pass option offered. Those prices above are for only in-person purchase. If you decide to purchase passes ahead of time on Ticketmaster (which I don't recommend), you'll end up spending a lot more money because of Ticketmaster's hidden charges. I wouldn't worry about buying these passes ahead of time. These games do not sellout. In the past I've always just bought passes at either rink when I arrive. All games will be broadcast live on FASTHockey. The cost of each game is roughly $7. Click here to read a FAQ about FASTHockey. I have used FASTHockey quite often the past couple of seasons and they generally do a pretty good job. If you don't want to spend the cash on FASTHockey, you can also follow the boxscores of each game online via Pointstreak. I do not believe any of the Fall Classic games will be available over the radio. Let's get to the individual matchups. All times listed below are CST. The Bucs are coming off another disappointing 2012-13 campaign in which they finished near the bottom of the western conference standings, and did not qualify for the playoffs for the sixth straight season. Last year, the Stars went 5-1-0 in the six regular season games played against the Des Moines Buccaneers, and outscored them 27-13. But this is a brand new season, with brand new players. The Bucs have played one preseason game so far this month, and that was a 4-1 road victory over the Tri-City Storm in Kearney on 9/7/13. In that particular game, Bucs forward Willem Nong-Lambert scored two goals, and Des Moines goaltender Ryan Ruck stopped 24 of 25 for the win. 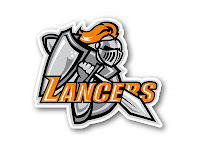 Much like the Bucs, the Lancers are looking to rebound after a rare, "down" season for them in which they finished with a winning record but did not make postseason play for the first time in 24 years. Omaha is used to being near the top of the western conference standing every season, so the 2012-13 season was a bit of an aberration. Because of the down year, the Lancers shook up their coaching staff. Out is former head coach Mike Aikens, and in is Brian Kaufman. Despite not making the postseason, the Lancers still had Lincoln's number. Omaha went 7-2-1 in 10 regular season games against Lincoln last season. The Lancers will play their first preseason game on the first day of the Fall Classic, when they face the Sioux Falls Stampede at 10:00am. Like all preseason games, you really never know what to expect with these Fall Classic contests. Most of these teams will rest some of their better players, and will instead roster some of the younger, inexperienced players whom the coaches want to watch live during a USHL game environment. As I've said before, these exhibition games are more for the coaches than they are for the fans. The coaches of every USHL team have to cut down their respective rosters down to 23 players before the regular season begins. So it's really important that they get as many players as possible into these games so they can better evaluate them before the start of the regular season. I am planning on making the trip up to Sioux City for both days, and I'm really looking forward to that. Can't wait to get my live hockey fix and see the Stars live. I have heard from a lot of Stars fans who also plan on being in attendance, so hopefully I'll get to meet and talk with a lot of them over the two days. So if you'll be in attendance, please come back here to the blog and share your opinions. I'd love to hear from you. I will post recap articles this week after each game, so stay tuned for those. It's starting to feel more and more like hockey season! Wishing safe travels to all hockey fans and player parents/family/friends going to Sioux City this week. Sound off if you'll be at the Fall Classic! You can leave a comment below. this will be my 4th trip to Sioux City for the Fall Classic. I absolutely love being able to get out of town and get my hockey fix in as Yeti says. The TEC almost seems like a home away from home as much time as I have spent there. one of the advantages of going is being able to sit just about anywhere you want in the arena. especially when the Stars are playing as this allows me to move around while I am taking photos. it also gives me a chance to meet some of the players and talk with them which is always fun. I think it would take a new facility to have a preseason game. I made a comment about a preseason game picking up my tickets last year, and (Mickey I believe)said it is very hard for them to get ice to stick just for the beginning of the season, no chance for a preseason game.